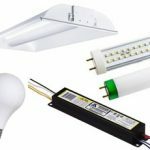 When searching for the best stainless steel solar light, it’s always great to start with a quality brand, but I tend to be a bit peculiar I go and try new products from the not so branded companies first and then compare with the branded ones, I do the review myself and then decide which one to keep and which one to kick off (kind of). This stainless steel solar path light from EZ Yard Tech is one of my favorite so far, their products may be a little pricey, but they are worth the price IMO. 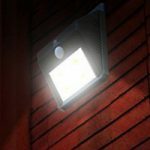 This product contains 10 solar lights with 6 lumens of brightness in each light, constructed with stainless steel anti rust material which protects your LED lights from harsh weather condition no matter what the conditions are hot and cold or rain and snow, it can easily withstand against any season. 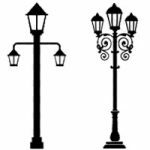 EZ Yard Techs promises that this light will give you 2x more brightness compare to its counterparts. 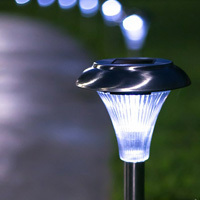 The LED light fixture is ideal for any landscape lighting including sidewalk, patio, and driveway. This stainless steel light can also be used as a complement to any pool, pond, or fountain at night. 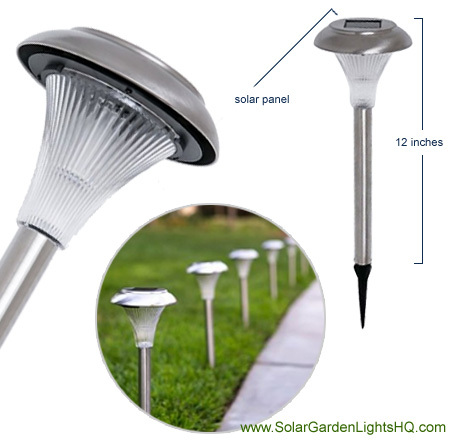 Although it is very easy to assemble and Install the light, but you have to keep few things in mind while placing them, first make sure you locate an area in your garden where they will receive maximum amount of full and direct sunlight and each light should be placed at least 6-7 foot from each other and away from other lights sources as this might keep the solar lights from automatically turning on at dusk. 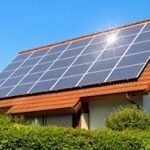 Most people who have tried the product are very happy with the results and have seen improvements in lightening and appreciation from the neighbors. This product provides 30-day money back guarantee, so if you don’t like this product and/or your product is delivered in damage condition you can easily exchange or cancel this product without any hassles. To be very honest, the EZ Yard stainless steel light didn’t really have any major downsides to begin with, people loving this solar lights because there is so small work involved after they set up the light, they don’t have to flip a switch to turn it ON and then forget to turn them OFF, all this will be happen automatically. Speaking of cons, this is a cheap stainless steel solar light but cheap doesn’t mean you provide material i.e. the body is built with thin stainless steel and the top globe is of plastic. Other issue is of not actually a product itself but with the packing and/or shipping the product, most people complaint about broken or defected product shipped. EZYard should take extra precaution while packing/shipping to avoid this type of complains. 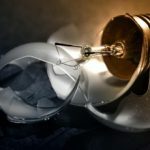 Apart from that, few customers also criticize about getting less working time (around 6 hours) normally solar lights works at least 8 hours on full recharge. At the given price, though, the above concerns shouldn’t keep you away from buying this product, the main purpose of this EZYard solar light is to make sure you get your garden lit up during night, and it does a great job at that. 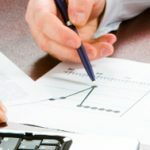 Sure there are better stainless steel lights available in the market, but do keep in mind that they are usually cost more. With that said, the EZYard solar light is 2x more brighter than their counterparts, Easy to setup and install and is great tool to complement pool, pond, or fountain at your garden. If you are looking for a stainless steel light at a reasonable price, yet powerful bright solar light, then the EZ Yard Tech stainless steel solar light should be on your priority list.